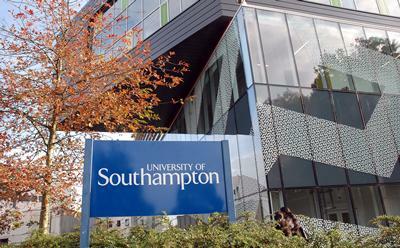 A new economic impact assessment of the University of Southampton shows that it benefits the regional Hampshire economy to the tune of £1.3bn annually and the city of Southampton specifically by £0.9bn. On a national scale it contributes £2.5bn to the economy. The assessment by independent economic consultancy, BiGGAR Economics, is based on information from the 2015-2016 financial year. It reflects the economic impact of the University on three specific areas: the city of Southampton; the region, as represented by the geographic areas of the Solent and Enterprise M3 Local Enterprise Partnerships; and the UK nationally. It is the second-largest employer in Southampton, after the NHS, and has an annual turnover of £0.6bn. Its impact comes from a wide range of activities, including education, research, employment, purchase of goods and services, innovation and new businesses. It also invests heavily in the local area – building facilities for education and research, as well as residences for its students, and providing employment for contractors. In addition to the economic impact, the report also captures many of the positive social impacts of the University in terms of health and employment, regionally and nationally. Its medical faculty attracts research funding for work that benefits not only the local community but people around the world. Its marine and maritime expertise boosts growth in the maritime sector across the region and the UK, and it attracts other businesses to the region, notably those who wish to locate here to benefit from proximity to the University, its researchers and its facilities. The University’s President and Vice-Chancellor, Professor Sir Christopher Snowden, comments: “Those of us working in the university sector are very proud of the positive impact of our institutions and the fundamental contributions to the regional and national economies. The University of Southampton’s impact reaches beyond the staff we employ and the talented students we educate. Through our education, research and enterprise activities, we also contribute to improvements in health and quality of life for people in the region, as well as more widely nationally and internationally. This latest study complements the recent report from the Solent Local Enterprise Partnership on the combined impact of the three universities in the Solent region, including the University of Southampton, which covered a slightly different geographic region. 1. Gross Value Added (GVA) is a measure of the value that an organisation, company or industry adds to the economy through its operations.